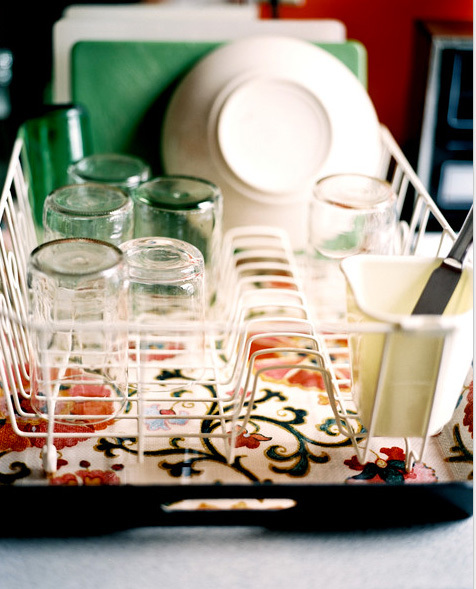 To make your counter top more stylish replace a boring old plain Jayne water catcher beneath your drying rack with a cool tray. I don’t have a drying rack everything normally just gets shoved in the dishwasher, but I’m tempted especially looking at this image! 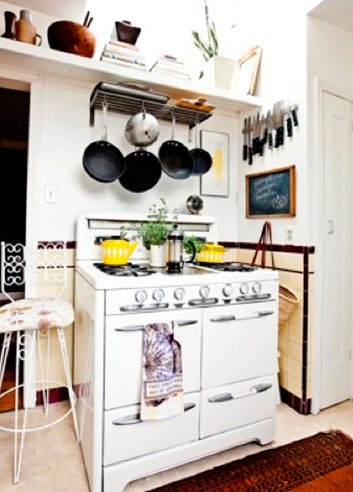 Use your vertical space especially if your kitchen is small. Display cooking essentials, as you will see from the image below you don’t have to have super fancy utensils! When I worked with Heston on his TV show I learnt how important it is to have everything around you so I’ve got jugs containing spoons for stiring and folding out on the counter top. Salt and pepper is always decanted in lovely little dishes and sits next to the stove as do many of my oils so most things are instantly accessible plus they add those all important layers. Differentiate your kitchen by adding a table no matter how small or large the kitchen it snuggles it up and can serve as extra space during the hols. 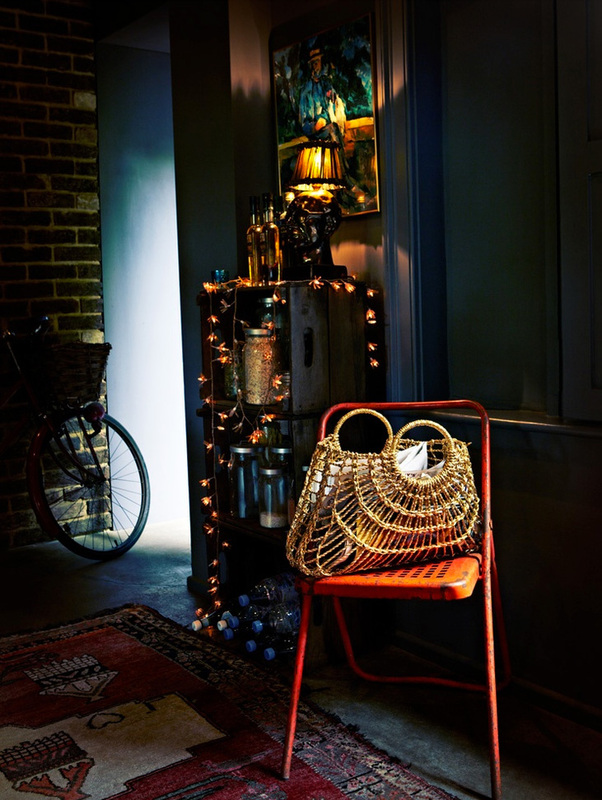 Take it one step further and hang a chandelier or pendant over it. You can hang it much lower than anywhere else in the house. Drape fairy lights everywhere especially at this time of year. You will see from mine below (although its all changed and I’ve no longer got those apple crates) just how sweet they are simply strung over things. Morning, Just a note to let you know how much I look forward to reading the daily post every morning…thanks for the much-needed a.m. boost! Also great to know that there are others out there who share my Monmouth obsession.